The Tudors are cool again. 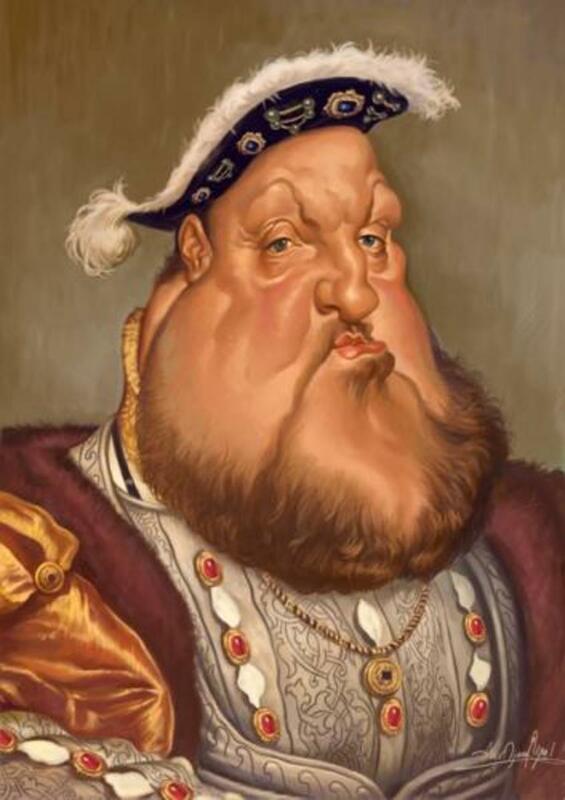 For the past few centuries Henry VIII has been regarded as a bloated, ulcerated wife-killer whilst his unfortunate assortment of spouses have been reduced to a playground ditty - "Divorced, beheaded, died, divorced, beheaded, survived". Then in 2007 The Tudors, hit our screens and suddenly Henry and his wives were once more the talk of several nations. As historical dramas go, The Tudors is, well, light-weight. It's a triumph of style over substance, the producers not allowing inconvenient historical details to get in the way of a basically good plot. This is soap opera history, with characters renamed, their ages and appearances adjusted, all in the name of entertainment, not education. The result was a very visually appealing show and a heightened awareness of the real-life Henry VIII and his wives. In the show, all Henry's wives are very attractive and more than a little cool. But in reality, which of Henry's wives was the coolest? Here, in reverse order, are the contenders for the coolest of the six wives of Henry VIII. Jane Seymour - Too Dull! 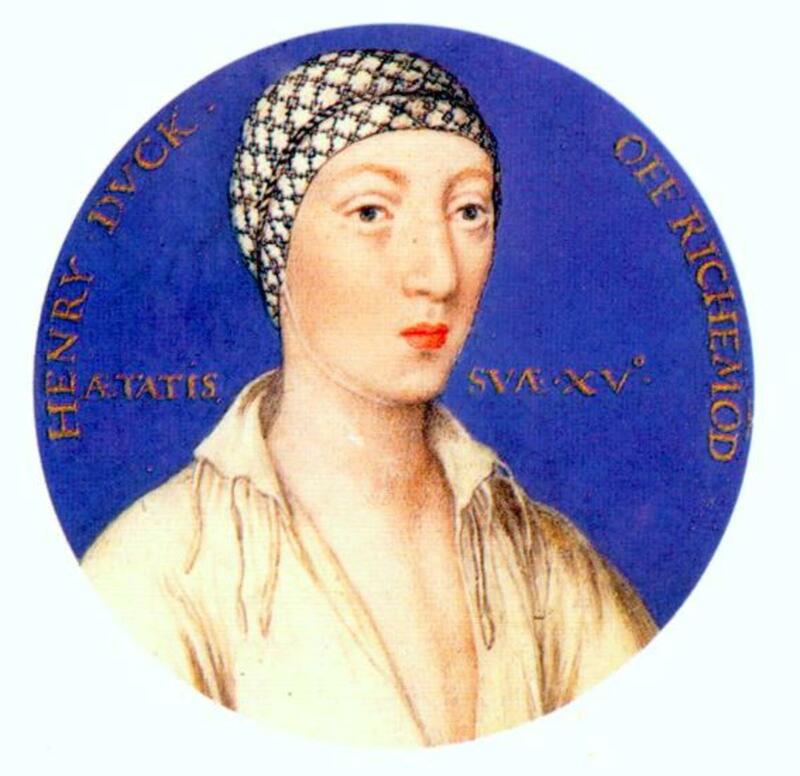 Personally, I find Jane Seymour as dull as ditch water, a characteristic that actually endeared her to Henry. Exhausted by the strain of the annulment of his marriage to Katherine of Aragon and tired out by ten years with the virago Anne Boleyn, Henry was seeking a more peaceful existence. Quiet, uneducated and biddable, Jane Seymour was the perfect antidote to Henry's turbulent recent past. Her motto was "Bound to obey and serve". Apparently Court became a rather staid place with Jane as Queen. Entertainment was toned down, the ladies of the Court were obliged to wear plainer gowns and Jane applied herself to needlework rather than politics. Jane lived up to her motto - she served her King well by producing his only legitimate son, the clever but sickly Edward VI. She lived only a few days after her son's birth, leaving a bereft Henry to idolise her for the rest of his life. 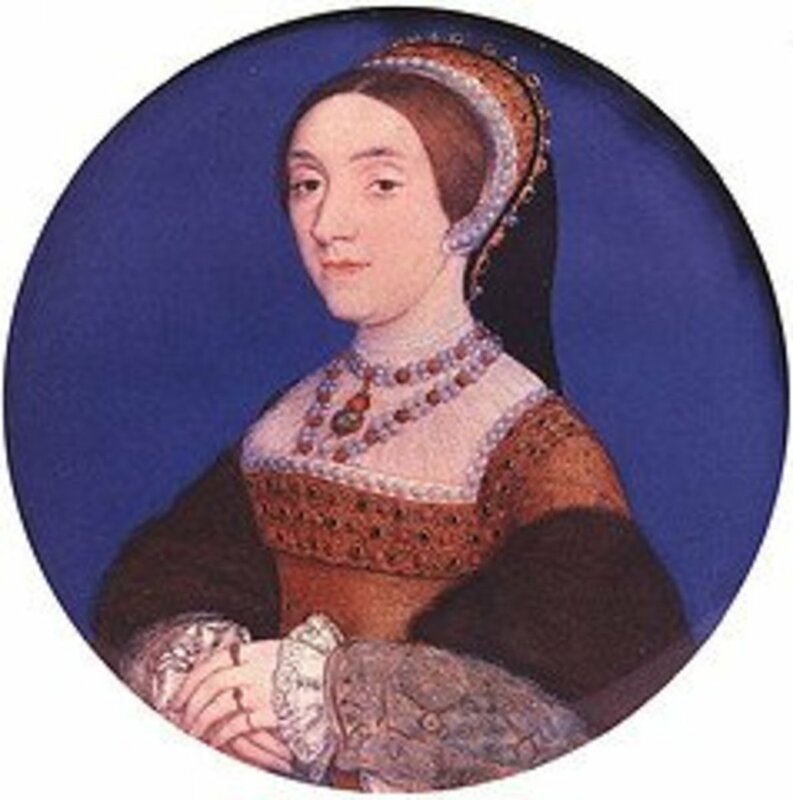 Fortunately for Jane, her early death meant that she never had a chance to offend or bore Henry and consequently she alone of his wives is buried beside him at Windsor Castle. Catherine Howard - Wild Child! Poor Catherine Howard! 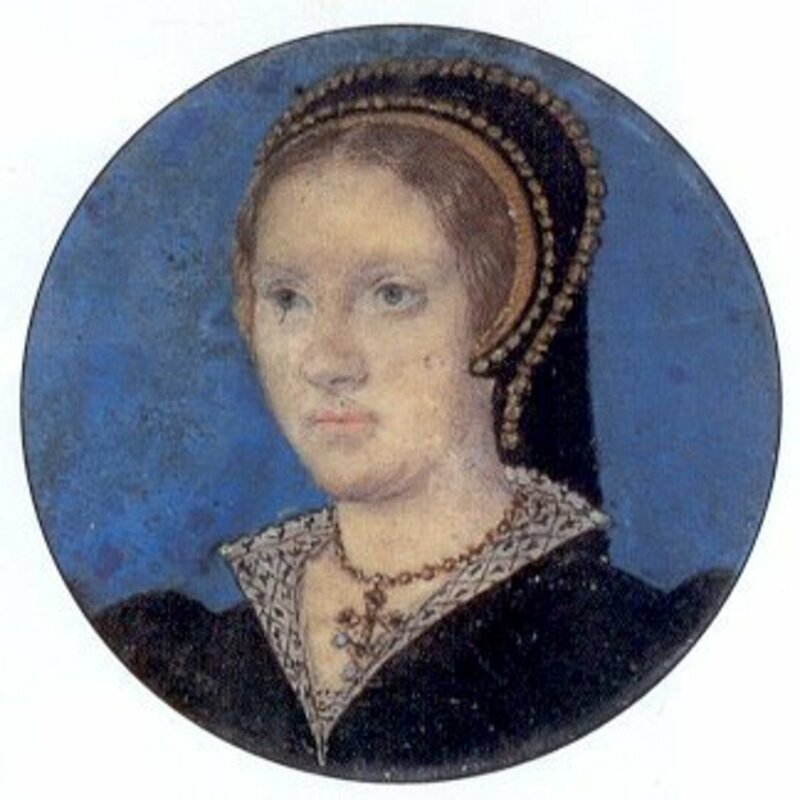 She was extremely young when she became Henry's fifth wife and by the time they wed Henry was a very unappealing prospect, grossly obese and suffering from an unpleasantly ulcerated leg. Sadly, Catherine couldn't just bide her time and wait for his inevitable demise and then go wild. She chose to go wild whilst her husband, the most powerful and vindictive man in the country, was still alive. She really should have known better - her cousin was Anne Boleyn, Henry's second wife. Catherine's behaviour was very uncool. She bedded two gentlemen of her household and was, of course, discovered. Henry was devastated by the betrayal of his "rose without a thorn" and once convinced of her guilt moved swiftly to dispose of Catherine. Sadly, Catherine was neither clever nor well-advised. Her last ditch attempt to get off the hook involved escaping from her room to try to reach Henry and plead for her life. She failed, and was dragged screaming back to her rooms. In her final hours Catherine did regain some composure, bizarrely practising for her execution with the block in her room at the Tower of London. When she faced the executioner she was perfectly calm. Anne of Cleves - Lukewarm! Henry's marriages to his fourth wife is one of history's great "what-ifs". The King took an instant dislike to Anne of Cleves and didn't even bother to consummate the marriage - perhaps if he had he might have got another male heir and the course of British history would have been different. However, Henry found Anne's appearance unattractive and thought her ill-educated and boorish. Henry's advisers quickly found a get-out clause and Anne and Henry ended their days as an honorary brother and sister, an arrangement that suited both parties well. Anne was well provided for and was glad to stay in England rather than return to her brother's very formal court in Cleves. Apparently she lived her life in some style, and was a regular visitor to Court. Catherine Parr - Pretty Cool! 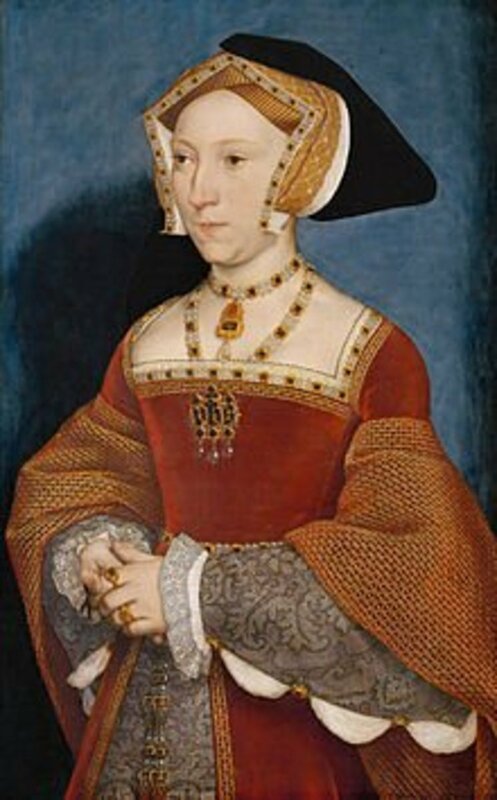 Catherine Parr was the only one of Henry's wives to survive him whilst still married to him (Anne of Cleves outlived him too). 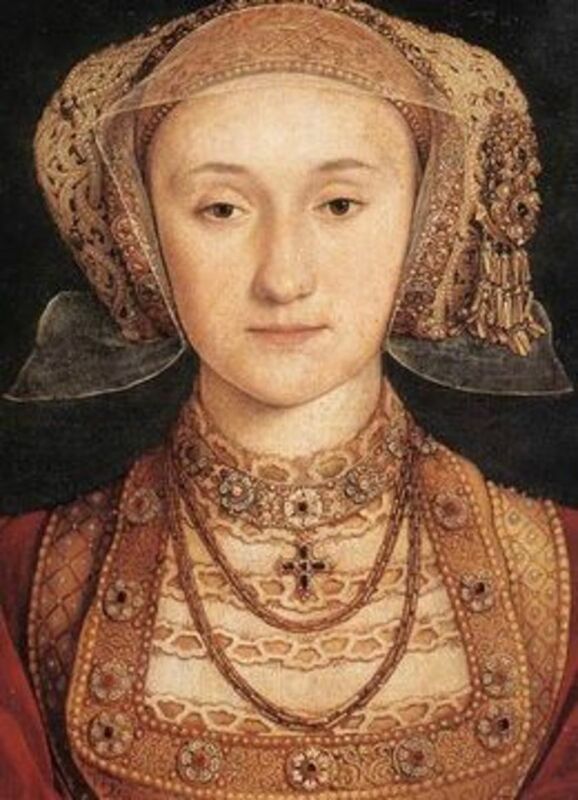 Catherine was already a widow twice over when Henry took her as his sixth wife. She wasn't keen; she had been planning to marry the brother of Jane Seymour, the dashing Sir Thomas Seymour. However, when Catherine caught the King's eye, Seymour found himself posted abroad and Catherine was persuaded to do her duty to the King. Henry clearly had a deep regard for Catherine. In 1544 he went to war with France and left Catherine in charge of the country as Regent. She didn't have an easy time as there was trouble in the north with Scotland. However, she maintained control and kept the country stable until Henry's return. 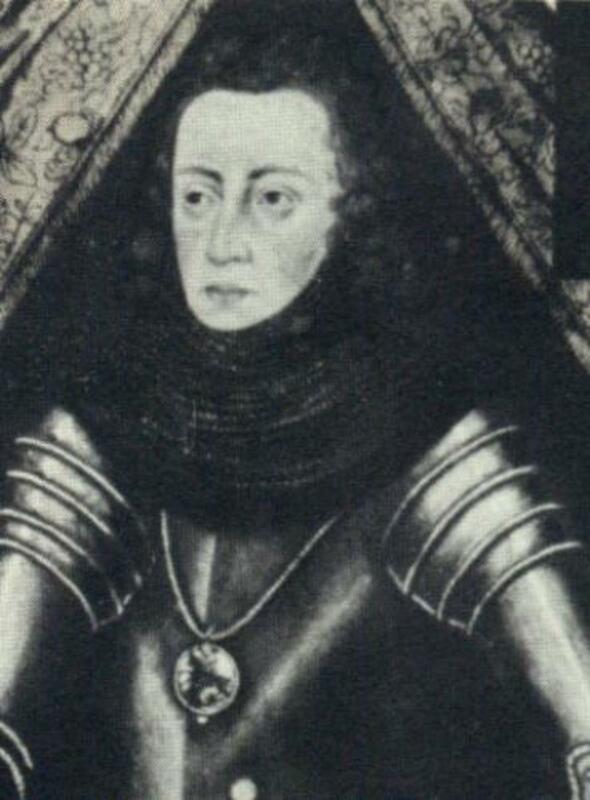 Despite Henry's affection for her and her clear capability, Catherine nearly became another of Henry's marital casualties. Although a Catholic, she was interested in the ideas of the Protestants, which was viewed as heresy, and there was at one point an arrest warrant drawn up for her. Catherine was very astute and maintained her cool; she convinced the King that her arguments with him over religion were merely diversions to take his mind off his painful leg. Henry believed her and the danger passed. 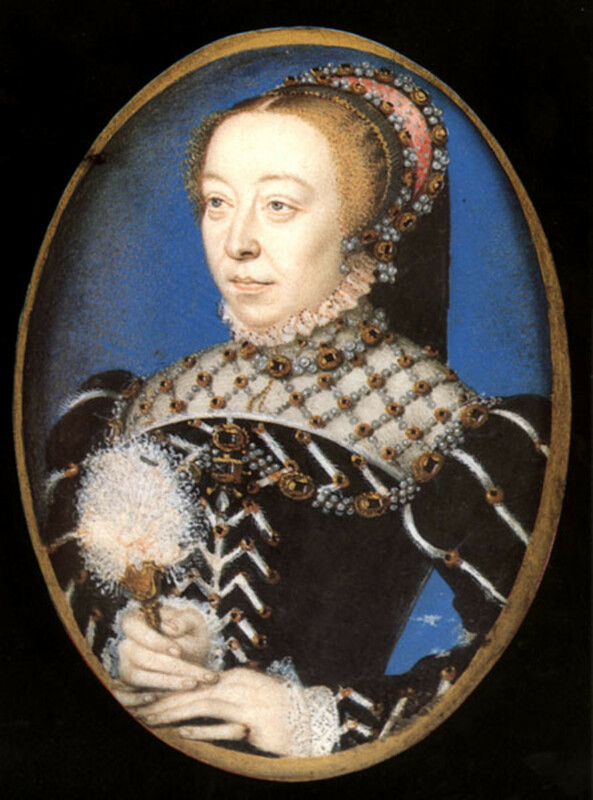 After Henry's death Catherine made her fourth and final marriage to Thomas Seymour. She became pregnant, but her joy was short-lived. Her husband began a potentially treasonous flirtation with her teenage step-daughter, Lady Elizabeth (later Elizabeth I) and the couple fell out. After the birth of their daughter, Mary Seymour, Catherine lived only six days. Her widower was executed for treason the following year. When I first thought about which of Henry's wives was the coolest, I though of Anne Boleyn. In some ways, Anne was the epitome of cool. She was allegedly not beautiful but had the sort of magnetism and vivacity that drew people to her instantly - of course, with that sort of personal power she also repelled some people and made a number of enemies. Not only did Anne have a compelling personality, but she was intelligent, well-read and stylish. So why doesn't Anne hit the top spot in this list? Unfortunately, Anne had a very ugly character flaw - spite. 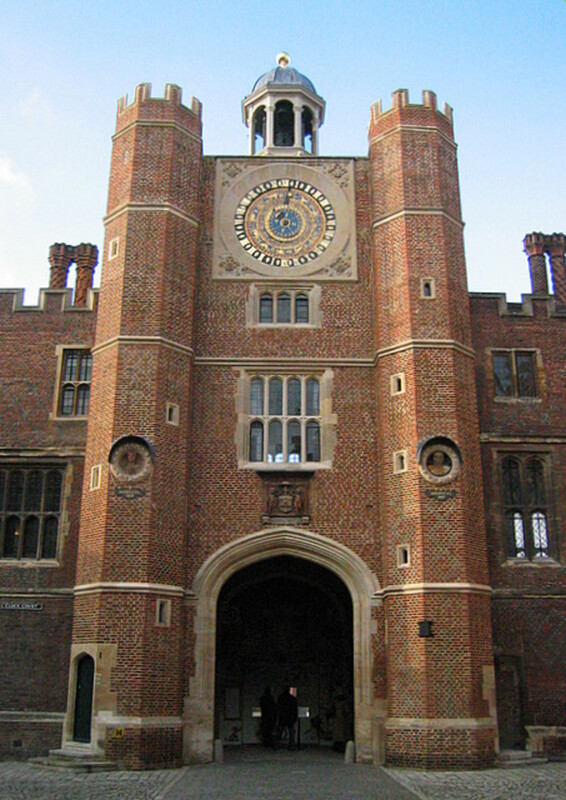 It was her bitterness toward Cardinal Wolsey, the man she blamed for breaking up a youthful romance with Henry Percy, that drove her to poison the King's mind against his trusted advisor. Her antipathy toward her predecessor, Catherine of Aragon, and the King's daughter Princess Mary, was deeply unattractive. No doubt it was she who had a hand in making sure that Catherine and Mary were kept apart even during Catherine's final illness. 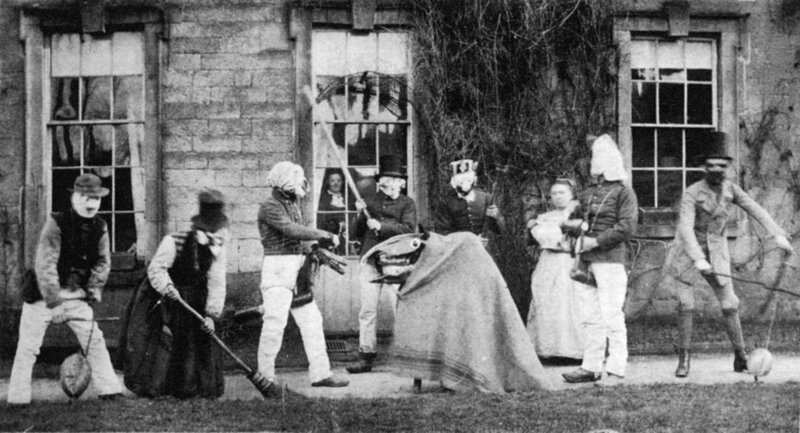 She also humiliated Mary by making her serve the infant Princess Elizabeth. Her final insult to the woman she supplanted was to dance at Court on the evening that news of Catherine's death was received, resplendent in a yellow gown. Anne was certainly stylish, even in death - no clumsy axe severed her elegant neck, she ordered a French sword to dispatch her. However, her spitefulness was definitely uncool. Who is your Coolest Tudor Wife? Which one of Henry's wives do you think was coolest? 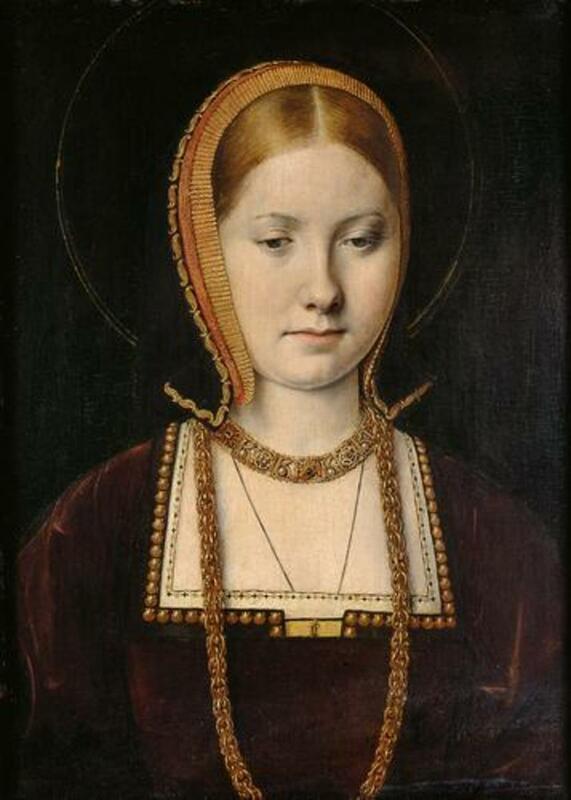 Catherine of Aragon didn't need to try to be cool, she was born to be cool. Her parents were both monarchs, Isabella of Castile and Ferdinand of Aragon, whose marriage established the throne of Spain. Catherine's siblings all made fabulous strategic marriages into the royal houses of Europe and Catherine, the youngest, was married to Arthur, Prince of Wales when she was 15. The marriage was short lived as Arthur died prematurely. Catherine was plunged into a political limbo, kept in England by Henry VII, who did not want to return her dowry, and treated in a manner that did not honour her rank. She was rescued from obscurity when Henry VII died and his son Henry VIII ascended the throne. Henry married his widowed sister in law, five years his senior, apparently much to the delight of both parties. Henry not only loved his wife, but he placed enormous trust in her. In 1513 he appointed her Governor of England whilst he was on a military campaign in France. During this time the Scots invaded England and a heavily pregnant Catherine donned full armour and rode our to rally her troops. The English defeated the Scots, killing James IV of Scotland, and Catherine sent a piece of his blood stained coat to Henry to use as a banner in his own campaign in France. Unhappily for Catherine, she was not so lucky in carrying children as she was in carrying on a war; she gave birth to six children, but only Mary survived. This was a dreadful failure for a Tudor Queen. Henry had already had affairs, one of which produced an illegitimate son, but his affair with the tempestuous Anne Boleyn finally turned him against Catherine. He set out to rid himself of his wife. 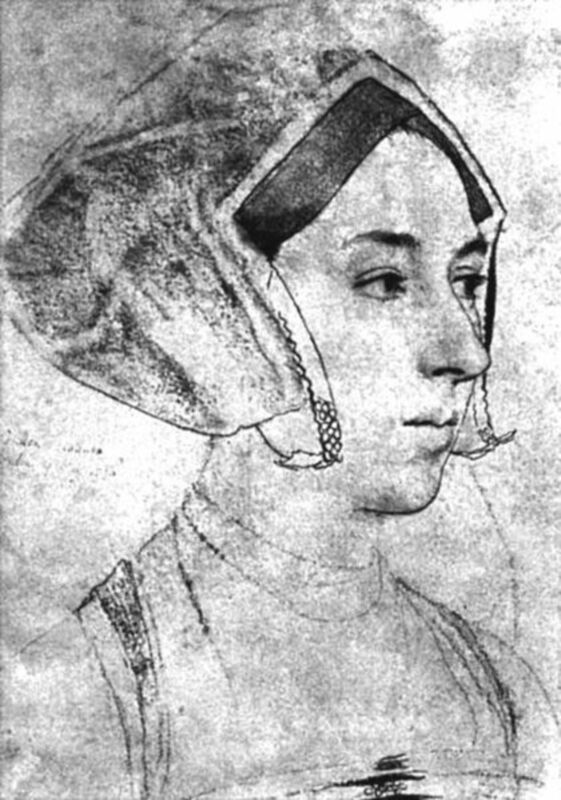 During "The King's Great Matter", Catherine maintained that she was the King's lawful wife and refused to bow out gracefully and retire to a convent. To do so would have meant admitting that she and the King had lived together "in sin" and that their daughter was illegitimate. When Catherine finally got her day in Court she gave an impassioned speech, on her knees, in front of the King, asking him how she had offended him. She managed to paint herself as she was, the dutiful wronged wife at the mercy of an all powerful husband. At the end of the speech she turned on her heel and walked from the courtroom, ignoring all calls to come back. A truly cool, albeit fruitless, moment. Eventually, Catherine was banished from Court, away from her supporters (the common people loved Catherine) and her beloved daughter. She died in Kimbolton Castle in 1536 and was buried in Peterborough Cathedral. Her tomb is, to this day, adorned with fresh flowers and pomegranates (her personal device). Catherine had it all - beauty (in younger years she had gold-blonde hair, not black as film makers usually insist), brains, bravery and dignity. Catherine was definitely cool. I agree with your choice. What a contrast she was to Anne Boleyn. Thanks so much for your comments, much appreciated. An interesting read, glad I caught it. Anne Boleyn has always been my favourite, along with Katherine Howard, but recently I've gained a deeper understanding of Catherine of Aragon and Katherine Parr and found them both more interesting as I get deeper into research. I enjoyed The Tudors but, you're right, it is definitely a history soap opera. I sat through it screaming at the screen how it really happened or who people really were. One thing I want to comment on is Anne Boleyn wearing the yellow dress. I'm sure Henry wore yellow too and it had something to do with yellow being the colour of mourning at the time -- maybe the colour of mourning in Spain? I can't remember off the top of my head but I know it was more than spite and celebration. Hi Beltane73 - glad you enjoyed reading this hub, I really enjoyed writing it. Thanks very much for voting and commenting, I appreciate it. Great read! Glad you posted it. Upvoted and interesting. Hi christopheranton - I think Catherine Parr was a remarkable woman, so no arguments there. In defence of Anne Boleyn, I tend to see her as the product of a horribly ambitious father, who was robbed of her chance of a love match with Henry Percy by the King, so I've got a bit of sympathy. But she was sometimes beastly. Thanks so much for reading and commenting, I appreciate it. I'm totally in agreement regarding Catherine of Aragon. I would have put Catherine Parr second though. She brought harmony to the family. I don't like Anne Boleyn at all though. Thanks..check out my hubs on the Anne Boleyn and Catherine Howard if you get a chance! Hi Lybrah - glad you enjoyed the hub and that you came we came to the same conclusions! Thanks so much for taking the time to read and comment, I appreciate it. I loved this hub! I totally agree with you that Jane Seymour was dull. I think Katherine of Aragon was a class act, Anne Boleyn was my favorite, but Catherine was the coolest of all the wives in the Tudors tv series. I liked season 4 the best. The Tudors was awesome! Hi Lisa - thank you! I'm sure that The Tudors is great entertainment, and the TV Henry VIII is certainly far easier on the eye than the real Henry! Great hub! I loved The Tudors show but the real story behind Henry VIII and his wives is much more fascinating. Hi Christy - thanks very much, I so glad you enjoyed reading this. Many thanks for your very kind comments, much appreciated! This should be the coolest of articles because I haven't read anything so unique and interesting online in a very long time!! This was fun and entertaining to read. Hi joanveronica - wasn't he a monstrous man, but so horribly fascinating! You have a good day too - thanks very much for your comments, always appreciated. This was a great read, voted up and interesting. You had good material to work with, the Tudors always make fascinating reading! A good account of a turbulent period in History! Have a good day! Hi Suelynn - yes, good idea for a hub - best historical movies, I'll definitely read it! I totally agree with you about the team who did "Elizabeth". Cate Blanchett was absolutely FABULOUS! You're so welcome - I thoroughly enjoyed this hub! Hi Suelynn - I remember watching "Anne of a Thousand Days" and enjoying it very much, though my memory of it is a bit hazy now. I wish the team who produced the "Elizabeth" films with Cate Blanchett would do a Henry VIII film, I bet they would do a good job of it. Hi Judi Bee... I am so glad I saw this hub! I LOVE the stories of Henry and his wives and have seen a few movie offerings. I agree completely with your assessment of "The Tudors" and even though I found "The Other Boleyn Girl" quite interesting, I loved "Anne of the Thousand Days." Richard Burton and Geneviève Bujold are a hard act to follow. Your hub is beautifully presented, well-written and I LOVE the paintings you've included (I love the arts!) This would make one HECK of a good history lesson to high school students! You've GOT it! Voted UP, Useful, Interesting, Beautiful and AWESOME! Bravo! For me, a mark of a good article is when it leads me off on an unanticipated path. Although I enjoyed all the the brief biographies, Katherine's sent me looking for Kimbolton Castle and its warren house. I just had the most deightful half-hour learning about the warren house's restoration and the history of Kimbolton. Thank you for starting me out on this pleasant journey. Up, useful, and interesting. Hi alocsin - being one of Henry's wives was definitely a health hazard! I am very hazy on Spanish history, I know a few bits, but there is definitely a lot more I should know. Maybe these ladies were cool but being Henry's wife was not a good thing for them. Given I like Spanish history, I'll vote for Catherine of Aragon as well. Voting this Up and Interesting. Hi Perspycacious - it's a shame we are devaluing history. I know that this hub is tongue in cheek, but history has important lessons to teach us. Incidentally, in a neat turn of events, Christina of Denmark married the man who had been betrothed to Anne of Cleves. In the US when my Dad went to prepschool England's history was a standard course. Now few Americans even know their own history! History gets a bad reputation, and reputation is what history is! This was, as all the other Hubbers have attested, a wonderfully done thumbnail tour of Henry VIII's wives and victims, true females before women's liberation. Your comment quote about Princess Christina of Denmark is priceless! Up and across. Hi Ziyena - definitely not an ideal husband! Hi Phoebe - that's true too! His first wife was the most suitable, but without Anne there wouldn't have been Elizabeth. Hi Carmen H - I found it hard to decide between Catherine Parr, Catherine of Aragon and Anee Boleyn. Catherine Parr is a great choice too, for the reasons you mention. And yes, Jane appears to have been such a dullard! Hi CMHypno - I would never had thought of describing Catherine as cool myself, but when I started to look into answering the question posed, I decided that actually, she could be described as a very cool lady! I am with you and the young Danish princess, Christina of Denmark - I wouldn't be Henry's wife unless I had an extra head to spare! Very interesting and well-written hub. I totally enjoyed it. However, my choice of the coolest of Henry's wives is Catherine Parr - she is the wisest, most mature, and capable queen in my perspective. And everyone is sure to agree that Jane Seymour is definitely the bore of the clan. Have to say that I have never heard of Catherine of Aragon being described as 'cool' before, but this is an well written hub. Each of Henry Tudor's queens were interesting in their own way, but it wasn't the safest position to aspire to back then. Hi Audrey - thanks so much, it's great to hear that people are enjoying this hub! So well done!! Loved this entertaining look at the wives of Henry VIII! Hi SanneL - glad you enjoyed this hub. I think Catherine Parr is a good choice too, a clever lady indeed. Great hub Judi! Well-researched and well-written. I have to pick Cathrine Parr as the coolest, since she succeeded to survive the pompous monster. I enjoyed getting to know all the wives of Henry VII. Voted up, awesome and shared. Hi Jools - I really must read Wolf Hall - it's about Thomas Cromwell isn't it? He was a horrid man too - at least he eventually got his comeuppance. Henry VIII certainly became a monster - can't believe he is still such a popular monarch! Thanks for reading and commenting, much appreciated, as always! Very interesting hub Judi, I read Wolf Hall last year and Hiary Mantel's portrayal of Anne Boleyn is very interesting - quite a manipulative shrew but Henry had already had a child with her sister whilst he was wooing her - he was a randy devil who achieved everything because he was so, so powerful. If I had to pick a cool one - Catherine of Aragon because at least she put up a fight and didn't let him get all his own way! Voted up. Hi onlooker - very happy that you enjoyed this hub. I can totally understand you voting for Anne Boleyn, she was certainly alluring! Thanks so much for your comments, I appreciate them! Judi Bee, thank you. I always enjoy meself a bit of English history and drama XD Loved every bit of it. I voted for Anne Boleyn and yourself! Hi Deb - I miss things all the time! I think it's a pretty tough call do decide between a few of the wives - my vote went to Catherine of Aragon, but as you say, Catherine Parr was a strong contender too. I didn't even notice it was an answer to a question. How did I miss that? Probably for the best; you've done a much better job answering it than I ever could have. By the way, I think Catherine Parr is the coolest; she managed to remain queen and survive Henry, after all. Hi Alastar - I was so excited about the Tudors, but got cold feet in the first episode when I realised that they had merged two of Henry's real life sisters into one character to make the story easier to follow! Aaargh! Thanks for your kind comments, great to hear from you! Good deal outing the soap opera Tudors Judi. i didn't realize how big that series was until it was noticed how well a thick new book on the Tudors and Henry the VIII was doing. Love the way you've written and approached this hub- very unique. Agree with your cool conclusions too. Gotta go with Cathrine Parr for the winner! Hi Ann = I agree that Anne of Cleves is an intriguing character, I think that she was probably glad to be away from her family in Cleves and relieved about not having to stay married to the grotesque Henry. She seems to have managed to gain what was beyond most Tudor women - an independent life. Hi livelovemystery - wow, how fantastic to be able to trace your family back so far and find a Queen at the end of it! I am quite green with envy! Thanks for taking the time to comment, I appreciate it very much! 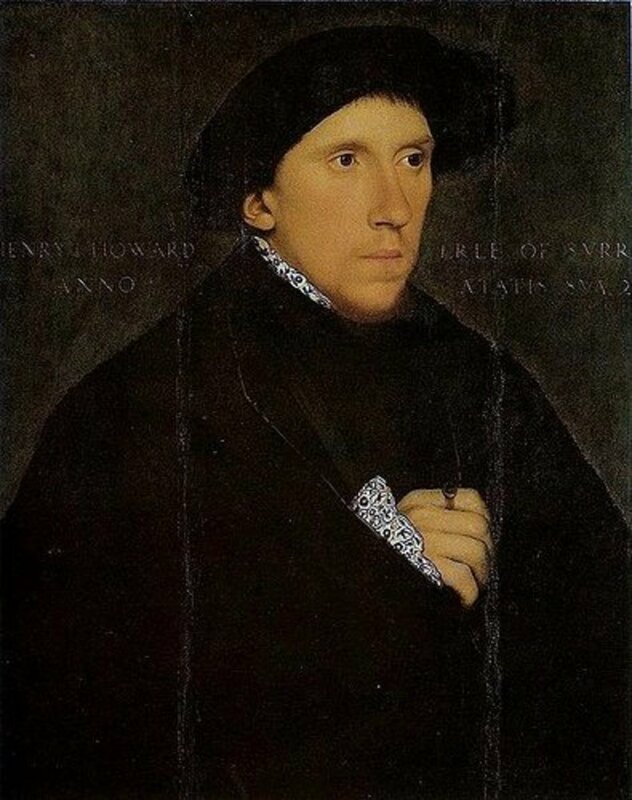 Hi JKenny - I very much doubt that Henry would have bothered with Anne Boleyn to quite such a degree if one of his sons with Catherine had survived. No Elizabeth I - what a dreadful thought! Hi ishwaryaa22 - I used to love Jean Plaidy books! As for The Tudors, I couldn't get much past the first episode - gorgeous though Jonathan Rhys Myers is, the casting was just a bit too ridiculous! Hi Thomas - you're quite right, Henry became a monster! He started out as a handsome, intelligent renaissance man and somehow regressed. Anne Boleyn and Catherine Howard are buried in the Tower grounds, in St Peter Ad Vincula Chapel - Anne has an old arrow chest as a coffin, they forgot to order a proper one. Hi Deb - we share a fascination! I haven't read Alison Weir's latest book, but have read some of her previous works. I enjoy her books as well as Antonia Fraser's. I can't claim credit for the "cool" angle - that goes to Lady Wordsmith who wrote a gift of a question! Hi Sam - I've been fascinated by the Tudors since I was about nine and read my first book about them, so I am glad that I have been able to spread the word! I love watching The Tudors! This is a fascinating perspective of Henry's wives. Many years ago, my mother traced our family history to this royal family. She discovered that our family is related to Catherine - the only wife that survived Henry. This is great stuff! Cool hub, Judi. I used to think Jane Seymour was the coolest, but that was mostly because I liked her name. I agree Catherine of Aragon is definitely the coolest, she managed to keep her head, literally and she played a part in the formation of the Church of England, think how different things would have been if she had produced a son. An enjoyable read! I heard quite a lot about the Tudors through the books by Jean Plaidy, the Royal diaries and few films such as The Other Boleyn Girl. I sometimes saw the Tudors starring Jonathan Rhys Meyers - I agree with you that the entire cast was far too glamorous, esp King Henry who was often said to be plump but in this show, King Henry is very slim and young-looking! You further enriched my knowledge about King Henry VIII's 6 wives. Cool hub filled with cool facts about one of the coolest historical dynasties of England! Nowadays, Henry VIII would be considered a serial killer. I have been to the Tower of London where some were beheaded. It gave me a very eerie feeling even centuries later. You did a good job writing this. There's enough dry humor and levity to keep it from being morbid. I am looking forward to more of your Hubs. Love this! I am fascinated by the Tudors. In fact, I'm in the middle of Alison Weir's latest book, Mary Boleyn, at the moment. You've done a great job summing up all of Henry's wives in a unique way. I've never thought about it from the coolness angle before. My vote definitely goes to Catherine! I would have to say she's the coolest. I've never read anything on Henry The VIII and his many wives before, but I found this to be quite enjoyable! Another great hub! Hi Case1worker - phew, relieved you enjoyed this one! I had trouble writing this, I had to prune it down a bit, I got a bit wordy. Glad it still worked for you. Great to hear from you, thanks for taking the time to comment! What a well written and fun Hub. Quite cool! Voted up!